I think that's what many expected to happen all along. Use the Saab brand and technology to build and sell cars in China. P4 West reports they'll be building both electric and gasoline versions of he car. It'll be interesting to see what gas engine they will use. Will they use the 9-3 for this or a new car based on the Phoenix platform? Phoenix platform with a good old Saab H engine would be good. Once the brand gets reestablished and their business thrives (I am being optimistic), then perhaps they can revive that deal they had with BMW for new engines. I am sure BMW's bean counters would love to power the half a million cars NEVS wants to build. This is like Charlie Brown and the teachers' talking, "Waa-waa! Waa-waa-waa! Waa-Waa!" What I want to know is... when do we get our Saabs back!? NEVS has entered a long time partnership with the City of Qingdao in China’s Shandong-province. Qingdao initially invests SEK 2 billion, obtaining a 22 percent ownership share of NEVS through a directed share issue. Further investments will be made in a joint venture company in China. NEVS is headquartered in Trollhättan, Sweden where product development and manufacturing is located. Qingdao’s investment in NEVS will be made in successive stages, and provides NEVS with a financially stable investor, as well as a business partner which provides access to a key market. The City of Qingdao has, through its investment company Qingdao Qingbo Investment Co, Ltd, signed a contract with NEVS’ parent company National Modern Energy Holdings Ltd. and with National Electric Vehicle Sweden AB (NEVS). ”This agreement provides financial resources that form an important contribution to enable implementation of the NEVS business plan,” said NEVS Chairman Karl-Erling Trogen. ”Qingdao is a long term strategic partner in China, which also provides us with a large customer,” said Kai Johan Jiang, CEO and main owner, NEVS. ”Vehicles based on new energy sources are the future. Qingdao wants to take an active part in this development,” said Zhang Xingi, Mayor of Qingdao. Trollhättan is the NEVS headquarters, with product development and vehicle assembly. China is a key market with great potential demand for Saab vehicles. Qingdao is set to become the hub for NEVS’ efforts in the Chinese market, which means that exports will be shipped through the Port of Qingdao, strategically located on the Chinese East Coast. As production at the Trollhättan plant will reach capacity, a complementary manufacturing facility will gradually be established in Qingdao. The municipality of Qingdao has a population of nine million, while close to 100 million people live in the Shandong province. The City och Qingdao is a large buyer of passenger cars, including both conventionally fuelled and electric vehicles. The NEVS investment is an important step to secure the region’s access to electric vehicles, and to build an industrial structure where the vehicle industry, including EVs, is key for the future. As part of the agreement, a feasibility study is now conducted to guide the future partnership. On August 31, 2012, NEVS acquired the main assets of the Saab Automobile bankruptcy estates, and currently studies the opportunity to commence production of the present Saab 9-3 model in the second half of 2013. The first electric vehicle model is planned for launch in early 2014. In October 2012, a sister company of NEVS in China opened a plant in Beijing producing high-performance batteries for automotive applications. Good dig, the NEVS and Qingdao Qingbo Investment Co. websites were unavailable when I wrote the above. Call me a pessimist but this looks like a repeat of Rover. I really hope the Saab brand will not be used for badge-engineered cars that have nothing to do with the original. The first new Rover-branded car to be launched after the formation of MG Rover was the estate version of the Rover 75, which went on sale later in 2000. In 2003, MG Rover launched the CityRover, a badge-engineered Tata Indica that served as an entry-level model. Despite high initial expectations, sales were poor, and it received mainly negative critics. 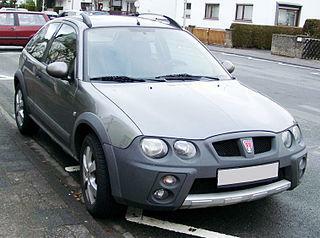 Several concept cars intended to point the way towards a replacement for the Rover 25 and 45 were shown in the early 2000s, but no production model emerged. MG Rover production ceased on 15 April 2005, when it was declared insolvent. On 22 July 2005, the physical assets of the collapsed firm were sold to the Nanjing Automobile Group for £53m. They indicated that their preliminary plans involved relocating the Powertrain engine plant to China while splitting car production into Rover lines in China and resumed MG lines in the West Midlands (though not necessarily at Longbridge), where a UK R&D and technical facility would also be developed. I partially agree, but SAAB has a pretty good following in Taiwan (Saab Club Taiwan), and Japan (SAAB OWNER'S CLUB OF JAPAN), and Korea (www.facebook.com/Saabclubkorea). I can't say the same for China, but I guess for them it will be just another "premium" brand. The question is how "Saaby" (to use a word coined by someone else on SW) will the new SAABs be? As much enthusiast support of the brand in these area - this still does not equal financial support in large numbers. What happens likely will be w/e makes them the most money for the least amount invested. Simple business 101.... Until I see reason to think otherwise - the brand formerly known as Saab IS gone. I wish NEVS and the Chinese the best of luck with SAAB and hope that it might become a valid product again, and available in the states once they achieve that, IF they even care to. I lost the logic of this...There is a Saab 9-3 being built already in China that looks exactly the same (BAIC) and will be propelled with an electric motor as well. It looks as Saab has been used again. For NEVS the engine possibly used might be a BMW 1.6 (born as a Peugeot engine) used in the Mini and the 1.9 liter Diesel made by Fiat. The quality of a BAIC Saab might be jeoparized but Saab engineers helped implement production back in 2009 when GM was booting Saab. So the only advantage might be a better quality 9-3? by NEVS (but also made in China)?